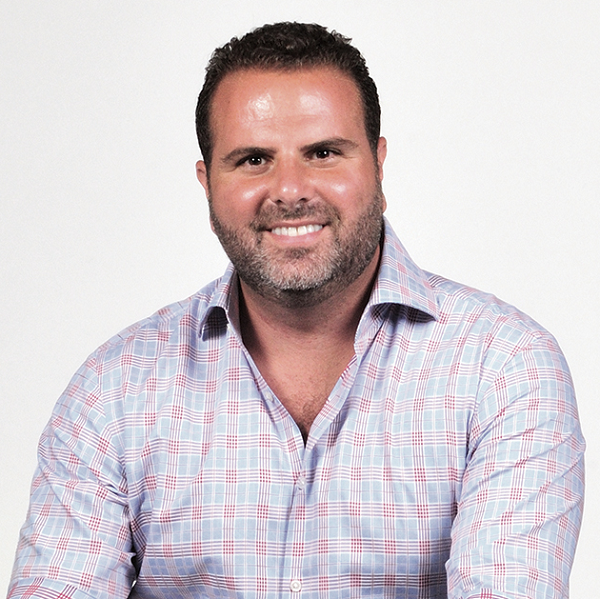 Comparably CEO Jason Nazar (pictured) answers Rob Kelly’s questions about employer branding, recruitment marketing, Glassdoor alternatives and more. If you’re a recruitment marketing or employer branding leader, you probably have tons of energy around company review sites like Glassdoor. A new Glassdoor alternative that has grown rapidly is Comparably. I spent some time with Comparably CEO Jason Nazar to dig in on this important new part of the employer branding space. Special thanks to the great Drew Kossoff (head of Rainmaker Ad Ventures) who intro’d me to Jason back in 2010. I asked Jason a bunch of questions and the result is this Q&A below. Enjoy! Hey Jason, what’s the most important problem that Comparably is solving for employer branding leaders? The most important thing we’re doing is making sure that employers’ reputations are being reflected fairly, accurately, and that you can really see what it’s like to work for a company. The quick back-story of Comparably is that I spent 15 years before this building up businesses. I was really passionate about how to build great company cultures. I was super familiar with all of the employee review sites out there, Glassdoor, and the others. I’m a massive proponent of bringing more transparency to the workplace. I also feel like over the last few years, a lot of these employee review sites got a bit out of control. Very often, feedback was left, in very large part, by ex-employees. Any time a company’s reputation is primarily dominated by people who used to work there, it’s not going to be reflective of what that company is like today. That’s really what we set out to correct. I have a ton of respect for everybody else in the space. But I think what people are really liking about Comparably is that we are a platform that gives a bit more control back to employers. This tips the scales back to showcase what it’s really like to work at a company in the fairest and accurate way so that the hard work leaders and companies put in aren’t overly punished as people do Google searches about an organization. Talent Acquisition vs. Employer Branding vs. Recruitment Marketing. How does Comparably position itself? Comparably is a solution to help with employer brand and recruitment marketing. I think there are a lot of great platforms to find jobs and candidates like Indeed, ZipRecruiter, etc. I also think there’s a whole host of other options like LinkedIn to find great candidates. We’re here to help a company with their employer brand and reputation to give them more resources for recruitment marketing. We have a ton of the best digital candidates that have signed up on Comparably (these are passive job seekers that you can’t find on the job boards. Engineer, Product Marketing, Design, Sales, and Finance). Who do you consider your top competitors? Would it be company review sites like Glassdoor? Glassdoor is our main competitor and I think they’re in a different space now that they’ve been bought by Recruit (the parent company of Indeed). I think they’ve already, over the last many years, been focused on being a job platform as you can see from their product. But they are the most well-known platform where employees leave feedback about what it’s like to work at companies and that’s the space that we’re in — so Glassdoor is our main competitor. 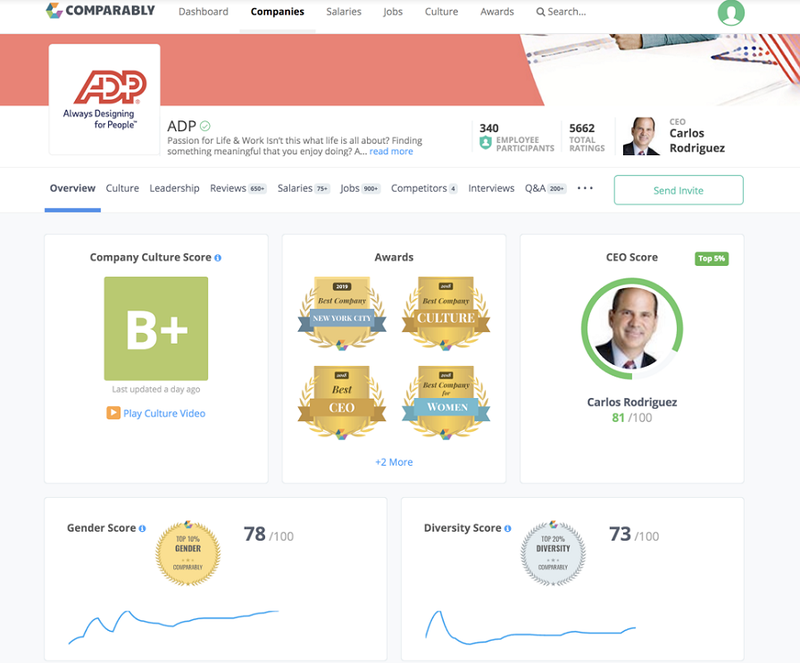 How does Comparably compare to Glassdoor? I’ll talk about the things that I think we do well. I’m not here to disparage anybody else. I wouldn’t have built this business if I hadn’t respected what they and others have done in the space. So part of what Comparably does that is unique and different to the whole rest of the category is we can we make sure that we give companies the options to enable only their verified existing team to leave public feedback. For example, the Google culture isn’t what the people that used to work there eight years ago [say it is]…it’s the hundreds of thousands of employees that are there today. It’s important when you want to understand a company culture that the most important voices that have to be heard first and most clearly are the current team. And that’s something that we do differently than I think any other employee review platforms to do. What HR Tech category would an analyst like Gartner Group put Comparably in? I think they’d put us in reputation management services. Again, we’re a platform that’s geared for both employees and employers to best understand what it’s like to work at companies. Then we help companies get amazing press to the areas they stand out through our Best Places to Work awards. So I think that Gartner group would put us in the category of reputation management services. Do former employees play a part in Comparably’s analysis of a company? Absolutely. By default, both former and existing employees can leave feedback, but we give companies the options to make it so that they can just get public feedback from their existing team and then get private feedback from ex-employees. We’re not here in any way to make a company look better than they actually are. We’re here to give the fairest and most accurate representation. My point of view for a long time has simply been that if you want to understand the company culture, both from the perspective of a candidate and existing team member, or how an employer wants to represent their brand to the world, then it’s your current team that is most important to be heard from. There’s way too much contribution from people that were at a company for a month and felt like they were aggrieved and then just leave an awful heinous review. These things put the job seeker in a situation where they have to sift through all the feedback. That’s why you see so many one-star reviews complemented by good reviews. That happens on other platforms like Yelp and others. Another big area that we focus on is we’ve now become one of the top organizations giving out Best Place to Work awards. We do these every quarter and we really want to help celebrate what areas companies stand out in. One of the big things that is different between us and other employee review sites, is that we don’t lead with written reviews. We have millions of reviews on the site, but at the end of the day those aren’t always the fairest way to understand what’s going on at a company. We lead by getting structured data, which is a fancy way of saying we get employees to fill out a survey. If one of your employees wanted to leave feedback about you they would come in and answer 20 questions that would take a minute and a half. Then we would have this really rich set of data across all these different areas of your business. The value of that is that we can then compare and contrast how you are as an employer to similar companies. That’s what Comparably helps bring to light. We have all sorts of software and tools to give more content and resources to folks in HR to onboard and convert the best candidates. We’ve had a ton of success working with companies by making their job posts all across the web infinitely more valuable and obviously that’s an area that Ongig is super familiar with. So at the heart of it, we’re just staying squarely focused on this employer brand and recruitment marketing space. We’re trying to do things that are different and better than have been done before. When you look at the experience our customers are having (like Salesforce, Intuit, ADP, HubSpot, First National Bank, and Cisco Foods), they’re having a great experience. And we want to be able to help as many people as possible. What’s the entry level investment or cost to use Comparably as a service? Comparably pricing is really straightforward. It ranges between $15,000 and $50,000 a year. It’s primarily based upon company size. We don’t upsell different things. We give an unlimited number of jobs. We don’t hold back any product features. One of the things that we try to do is that we know that we’re the new kids on the block, so we provide unbelievable customer support. I’m involved in a lot of the accounts that come onboard and we try to go above and beyond whether it’s content creation, getting our partners press, and really helping to build out a complete strategy for how to attract and convert the best quality candidates. A lot of companies don’t have a top of the pipeline funnel you can turn on. Indeed and ZipRecruiter are going to get you more candidates than you could ever want to deal with. The question is how to get quality candidates and that’s where we come in. So right now, we’re really just focused on providing great value and service. Is there a free way that employers could use anything from Comparably for their employer brand strategy? We help attract candidates to employers and they have the ability to send them to their career pages and connect with them. We provide a really great offering, but I think there’s a lot more that we can do when we engage with a company and help them out. I would definitely encourage your audience to be using Comparably for the basic tools. You mentioned fraudulent activity on employer rating and reviews sites that are affecting company’s reputations. Can you give an example of the types of fraud on employer review sites? Yes. I think there’s 3 levels of things that happens on these platforms that make it more difficult for candidates to understand what’s going on and unfairly hurts employers reputations. At the worst base level, there is literally just fraud. There are companies that want to purposely hurt the reputation of their competitors. I’ve spoken to 10 employers in the last three months that have had instances of that on other sites outside of Comparably. I think the 2nd level is that there’s some kind of accountability and accurate verification. For example, if someone’s been at your company for three years ago, and they were in sales or admin, and got let go because of performance, being a really negative culture team member, or being potentially unstable, and it was uniformly understood across the company that the team member shouldn’t be there. For that person to be able to go online and say whatever they want about the company, which is going to often be distorted and overly negative, I think is not helpful. The 3rd thing is there’s often feedback that is too positive that’s asked to counterbalance. When employers feel like: Oh, we have been so unfairly represented that we need to try to get people to leave overly positive feedback, you can tell. You can tell when someone’s been asked, pushed, or coerced, to leave a review that they don’t want or intend to. All of that just adds to the complication of, how do you really get to the understanding of what’s going on in an organization? Those are the things that we set out to fix and we’re not going to be perfect in every instance, but the idea is that if you could just have a conversation with every team member at a company and find out what they really think is good, and what they really think is bad and needs to get improved; and it can be understood and measured in a simple, easy way. How valuable would that really be for the employer? How valuable would it be for the candidate? And that’s the product experience that we set out to build. 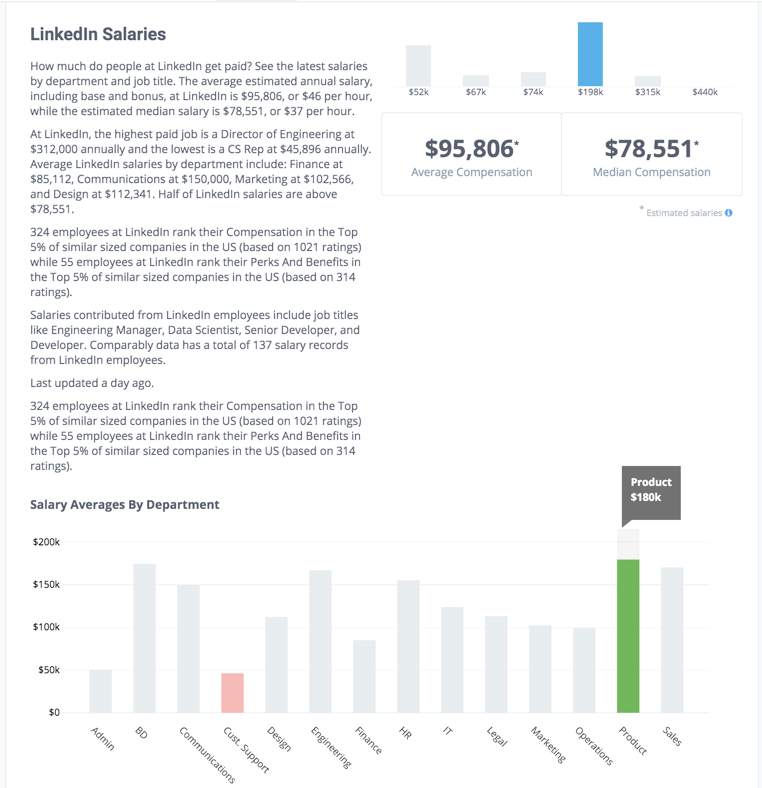 How accurate is Comparably and Glassdoor on salaries? I would say generally pretty accurate. There’s a lot of value in the quantity of data. I can’t speak to what other folks do but in Comparably’s case we benchmark all user contributed data with data from companies and recruiters. Every salary record that comes in both goes through the algorithmic check and a check by a human editor who’s an expert in salary compensation. We don’t put a record on the site unless we feel that we’re really, really confident with it. So we focus typically on salary records for corporate roles, tech-related roles. Part of what we’re extremely proud about is that we’ve had multiple organizations and individuals say “this is some of the most accurate data that we’ve ever seen.” In our case, I think we have extremely accurate salary data. How does Comparably do content collection? Last time we chatted about allowing clients to embed things to automate that content collection. We set out to build a different experience both for what it’s like to work at a company and how to collect that feedback. Whereas other employee review sites start by trying to get a written review from somebody, which paints a company in really broad strokes whether they’re typically all good or all bad. Through this survey we get really thoughtful, objective, comprehensive understanding of what it’s like to work at a company overall. That’s one of the things that’s been really popular about our platform and it also makes it really easy to collect feedback from your team. The fact of the matter is that it’s kind of weird and awkward to have to ask somebody for a written review. You feel a little weird being asked, but everybody’s used to leaving a little bit of survey feedback for their company and it’s been a common practice for a long time now. Whether you’re engaged by your employer, you go directly to Comparably, or you have a co-worker that invites you to do this, that’s part of the way that we collect the feedback that’s a bit different. Then what we do is try to give a really transparent look at what’s going on at the company. We pull out the areas they are best, we can help companies get exposed to our Best Place to Work awards, there’s no cost or fee to participate, there’s absolutely no pay for play. They have to earn the scores, so when they do they have the ability to get major national exposure, major national media, and standing out as a top employer. We want to give those employers the ability to put their best foot forward and showcase to the world, here is where we do stand out, here is where we’re great, here’s where we’re a top employer, as compared to all of our alternatives. Then they can use that on their job postings or the recruitment marketing efforts. What’s something innovative you’re doing with diversity that other employer review sites are not? For a company’s diversity and inclusion efforts we give them a gender score and a diversity score. You’re going to be able to see immediately how that company is rated by the women on their team, how they’re rated by people of color, how managers, executive team members and CEOs are rated by women and by diverse employees. Part of what we’re doing is we really just want it to be more transparent of what that workplace is and how supportive they are for all kinds of employees. Are they employers that are well liked by senior citizen employees? Are they employers that are well liked by their engineering teams and their design teams? Are they employers that have a good reputation amongst their team members that are people of color or women? What’s it like for somebody like me? What’s it like on the marketing team? What’s it like in the location that I’m joining? What’s it like for somebody of a background like me whether it’s my gender, ethnicity, education or skill set. When someone’s looking to join a company, especially a large organization, knowing that it’s just four or five stars overall I don’t think is what’s most helpful. It’s more for the kind of environment that I’m going to be working with, for the kind of managers I’m going to be working for, for the kind of people that are like me, what kind of experience did those folks have at the company? That’s what we’ve tried to do with Comparably that’s also different than other platforms. We just make that the forefront of our experience. If you go to any company page on Comparably one of the first things you’re going to see immediately on every company page is their gender score and diversity score. It’s literally the first thing you see on a company page. That’s core to who we are as an organization. Can you list out some of the Employer of Choice Awards Comparably is giving out? You can see all of our Comparably awards here. We do 20 awards for the year. And we do Awards for companies with the best outlook. We have this really wide variety. We can even showcase what are the best companies by department, and which companies have the best engineering, sales, or design teams. Part of what we do with our awards that is so unique is that we have data on so many different aspects of a company, we can really show where they stand out in these different areas. What a lot of employers have appreciated about Comparably is that a lot of times they never had a chance to win Best Place to Work awards because it’s hard to compete with the Googles of the world for overall best culture. But we’ve taken companies that may not have the best overall company culture but are really competitive on pay or perks and benefits. They may have really fantastic managers and earned those scores from their employees and then we get to highlight them as great employers in those areas. I get a lot of Employer Branding and Recruitment Marketing Leaders asking me about how to create a new Employee Value Proposition (EVP), is Comparably helpful at all with an EVP? Yes, we do a lot of content creation for our customers. We do case studies on their CEO where I’ll do interviews with their chief people officer or CEO and we have amazing journalists that used to work for Fortune and Business Insider on staff with us. We have a tremendous amount of data on companies, so we loop that into showcasing how companies rank versus their competitors and how they stand in their industry. Part of our proposition to companies is that we can help them tell that story. We can amplify the values that they already know about, but that we can also be part of their partners and strategists and understanding what things they do that are really special and different because we have the quantitative data to back it up as well. We also have their own employee’s ratings and reviews to mix in with those stories, which is a big thing that we do to help companies out. Will Comparably end up being a job board? That’s not our focus at the moment. Our focus is to be the absolute best platform to help companies with their employer brand and recruitment marketing and to give the most fair and accurate representation of what’s really going on. Certainly, we have a huge set of registered users. They are open and asking for job opportunities. I think that would be a logical conclusion that at some point we’re going to dive more into that. But today and for the foreseeable future we’re not a job board, we’re a solution to help with employer brand and recruitment marketing. That’s the area we want to stay focused on and really do something different and special. We want to help out folks in HR, who have employer brand titles, and Chief People Officers. Should employer branding and recruitment marketing sit within talent and HR, or in the marketing department or some combination? I think what happens today is that at smaller size organizations employer brand becomes a little bit of a function of marketing. There aren’t dedicated employer brand resources and so those either bleed over from marketing or it’s the responsibility of talent. People who are recruiters and have the responsibility of bringing people in the door are also told this brand stuff that they should also focus on it as well. Certainly at larger organizations they spend a lot of time, effort, and money on resources. My point of view is that there is no meaningful difference between a company’s employer brand and their brand overall. It’s one. I think what you’re seeing is that whether a company is 50 employees and fast growing or they’re 50,000 employees and been around for 100 years, they’re really starting to see that our reputation in the market is absolutely critical. People do thousands of Google searches on companies every single day. These aren’t just candidates. It’s their own employees, press, stakeholders, private, and public investors. Being able to showcase what they’re like as a company, both in terms of products and services and how employees are treated is one holistic picture. If you’re seeing the tech space lead any charge it’s that a business can’t and shouldn’t just be about profits alone. It has to have a holistic mission, where it’s there to serve its investors, serve its employees, and serve its community. I think there’s one singular brand that companies are having that encompass all of those activities to the extent that folks are starting to understand that that brand is vital to who they are as an organization. It’s coming more and more out of marketing and I think it’s sitting not just below a recruiter in an organization, but it’s giving the resources that it needs to do everything as if you were a Chief Marketing Officer at a company tasked with making sure that the brand and products are known as great in the market. I think that’s the shift that we’ve been seen. Is Recruit/Indeed’s acquisition of Glassdoor good, bad or neutral for Recruitment Marketing/Employer Branding Leaders? I do think that the acquisition was driven around Indeed as a job site and it’s the largest website in the world. If you’ve seen what Glassdoor has tried to do over the last few years, is they’ve described themselves as the second largest job board in the US. So I think their combined focus will be on how to be the best job board in the United States and in the world. And I applaud them for that mission and efforts. I think because of that, the original focus at Glassdoor on being a platform around employer brand, clearly isn’t there anymore. That’s why companies like us exist, because there is a need in the market to do more around just employer brand solutions and recruitment marketing solutions. Why do you think Glassdoor didn’t IPO? I think these things are always complicated. They had a large set of shareholders over many rounds. I think management and shareholders look at what are the best strategic opportunities. I think that Recruit is an amazing company and the Indeed acquisition turned out to be one of the best tech acquisitions of the last 20 years. They should be given all the credit for being able to buy that company for what they did in the late 2000s and turn it into what it is today. I can understand why the Glassdoor team would be excited to be part of that journey. So I can’t speak to it as I wasn’t in the boardroom. I’m not the right person to say why they chose that path that decides an IPO. I can tell you it’s a complicated decision where there’s a lot of factors involved, having been in those boardrooms were companies that had to make those decisions. But I also know that Recruit and Indeed are fantastic organizations. I’m not surprised that they’d want to be part of that team. I interviewed Jason because Comparably’s content meshes well with Ongig’s mission to transform job descriptions to attract top-tier and diverse talent. You can look for Comparably job content on Ongig’s client job pages soon. Just Request a Demo here if you want to see how something like Comparably looks and performs on your job postings.